Established in 1962 by Douglas and Joan Farnworth, Homespares have been supplying appliances and domestic appliance spare parts for over 55 years. Previously employed by Waltons For Washers and then Hoover, Doug and Joan Farnworth opened a retail business at 154 Blackburn Road, Bolton, providing washing machine sales and services. Lancashire Washing Machine Company became official. 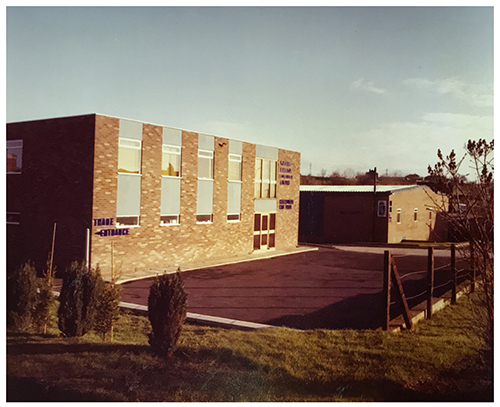 We registered at Companies House on 4th June 1963, gaining incorporation status as a limited company.The name was subsequently changed to Washing Machines (Lancashire) Limited on 19th August when the first board meeting was held at 2.30pm at 14 Acresfield Close, Bolton. Despite the other names that followed, WML continues to this day as the group name, WML Industrial Holdings Limited. 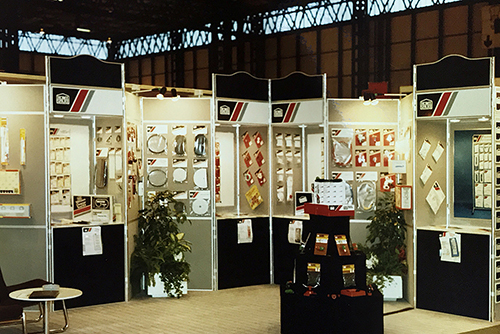 1973 Marked the first exhibition at Domotechnica, an international trade fair for Household Appliances held in Cologne, Germany. This signified the beginning of a fundamental relationship with Domotechnica that has continued throughout the life of Homespares. In 1975 the DDR brand was launched. DDR stood for Durability, Dependability and Reliability and saw the introduction of pre-packaged spare parts. Debra Percival Sales Administrator Joined in 1979. Left the business in 2017. ‘I joined Homespares when it was WML Limited in Bolton. Immediately I was struck by the friendliness of the Company and how they treated all staff like one of the family. I began servicing the DDR brand as well as overseeing the Cash and Carry wholesalers’. ‘Back then, technology was sparse, we wrote invoices by hand, replicating them as needed and typing them up on a typewriter. Communication was different too, the telephone switchboard had plugs to connect the calls and we used a telex machine to send urgent messages’. 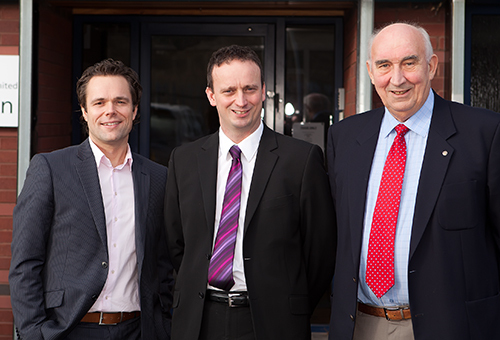 The growth of WML sparked a move to Boundary Industrial Estate. 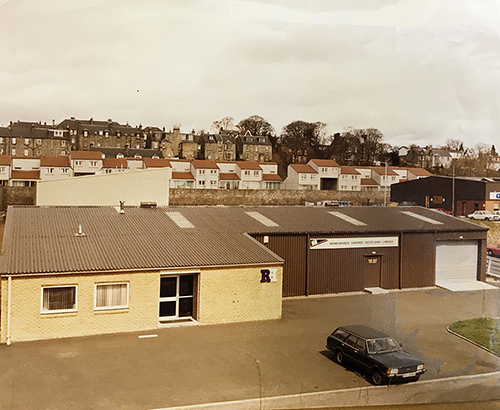 The move helped us to establish the company as a leading ‘pattern’ spare parts supplier with an extensive inventory of unique products. More units had to be built to house packaging, our backup stores and our bulk stores. Eventually, these were taken over by Millfield Estates who are part of the WML Group. The acquisition of RH Components would eventually lead to the birth of Homespares Scotland based in Dunfirmline. Continuous growth activated a name change from WML to Homespares Centres Limited. Homespares implies the provision of a diverse range of products and spare parts for appliances and the home helping us to expand. Alongside the name change arrived a brand overhaul including the industries first ever colour catalogue. ‘After being made redundant from BP Tanker Co. I joined Homespares in 1984 on a temporary basis and haven’t looked back since. During my time here, the company has introduced many name and branding changes and has gone from manufacturing non-genuine spare parts in Homespares factories to genuine spare parts and products for larger organisations’. 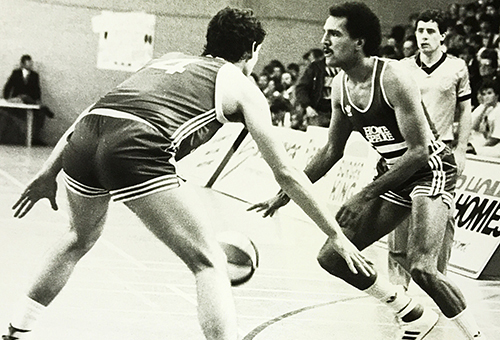 Homespares were the team sponsor of the local basketbally club, coming on board when it encountered financial difficulties and took the club over to protect the brand. With TV coverage proved by a fledgling Channel4, the profile of the business and the brand was raised nationwide. ‘I began at Homespares as a trainee rep in 1985. 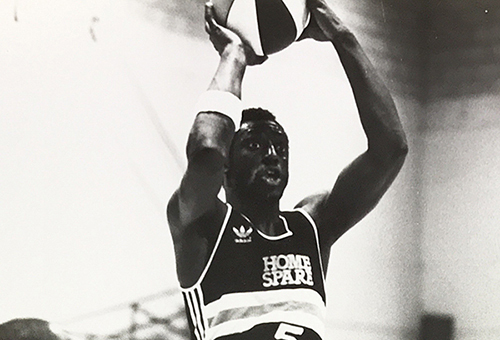 During my time with the company there have been many changes but one ongoing feature is that Homespares still employ sales representatives as it did in 1985. My job involves numerous tasks such as liaising with customers, introducing new products and handling customer enquiries personally’. With the launch of the Gardenpride Watering System, we ventured into the garden sector alongside the lawn mower spare parts which we began to stock. At the end of 1989, we purchased Unifit from Vacspare, a strong brand renowned for vacuum cleaner paper dust bags and its prepackaged range of vacuum cleaner consumables such as vacuum cleaner filters, vacuum cleaner tools and vacuum cleaner belts as well as genuine Hotpoint spare parts. Nowadays, Unifit is a retail brand focussed offering attractive modern packaging with easy to find information for the consumer. It is a unique fit for retailers looking for space saving, balanced, well packaged, revenue generating range of universal appliance accessories for in and around the home. Up until 1992, Homespares created their catalogues by providing the printers with a handwritten copy of the catalogue. 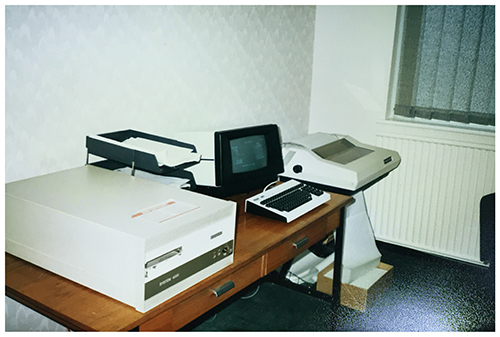 This was the first year the company integrated with the printer using Windows and Adobe Pagemaker on an Intel Pentium PC to produce a 200 page catalogue. The start of the new millennium brought significant changes to Homespares with the appointment of John Farnworth as Managing Director. In 2000 we launched a CD ROM based catalogue, incorporating an online ordering facility. The launch of Homespare.com saw the addition of new search features and an easy to update web console. All manufacturers price lists were made available through the website with descriptions, model information, images, prices and stock availability. For the first time customers could see their account information at the click of the mouse. The Unifit website was launched in 2002 and offered a reference point for consumers – providing a range of consumables and accessories for in and around the house. The acquisition of commercial catering spare parts and accessories specialist, Harrison Distribution, ignited our move towards the more commercial market. We also acquired Mark Banfield in the process who continues to work on Product. This gave us the ability to supply a complete range genuine , ‘grey’ and non genuine spare parts covering the main manufacturers as well as being able to source parts for the less well known manufacturers. 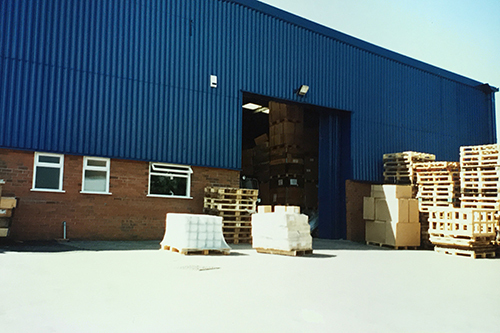 Boundary Industrial Estate was fast becoming too small for the growing company and the inability for the company to add any new products meant new premises were desparatly needed. 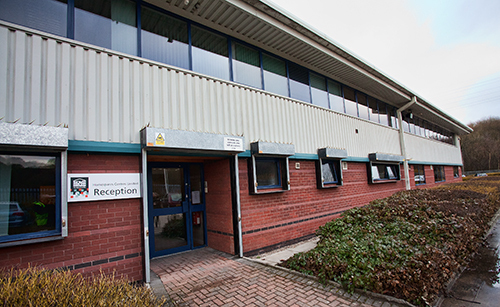 Property in Bolton was sparse but fortunately, by 2006, two buildings became available in the area, allowing Homespares to relocate whilst still retaining staff. 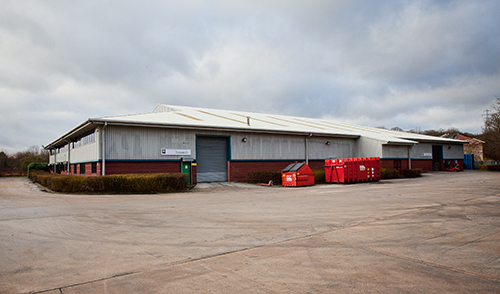 Firwood Industrial Estate, a modern 31,000sq ft facility is our current location. We offer a wide range of Spare Parts and Consumables for your Home from a number of the leading manufacturers. Some of the brands we distribute are Aeg, Belling, Bosch, Bruns, Burco, Candy, Electrolux, Glisten, Hoover, Hotpoint, Indesit, Neff, Numatic, Sebo, Siemens, Severin, Stoves, VTAC, Whirlpool and Zanussi. 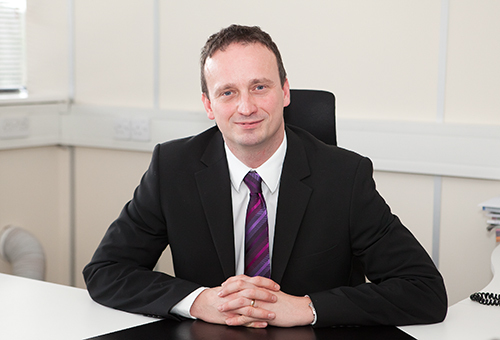 After John Farnworth moved to become the managing director of WML Industrial Holdings, Jeroen was appointed the new Managing Director. This was the beginning of the Dutch influence in an English company. During this period, further development was made by expanding the range of original spare parts, the launch of a new website and adding more accessories and consumables for domestic appliances. Jeroen put a particular emphasis on marketing, introducing special offers leaflets, email updates and quarterly newsletters – along with a range of catalogues. 2009 saw the integration of the mainframe computer into our websites with the launch of three new websites; Homespare.com, Unifit.co.uk and Catering-Parts.co.uk; including live stock, product and price information. 2011 saw Homespares rebaranded as HSCL (Homespares Centres Limited) due to the expansion of our product portfolio and many brand names. Were we Homespares, Unifit or Commercial Catering Spares? How do we answer the telephone? It was felt that the name was a more modern twist which reflected the dynamic nature of the business. As well as a new name and logo we introduced a corporate statement that reflects the three cornerstones of what we stand for and have stood for since inception. ‘Service, Delivery, Trust’. These values have been maintained throughout our Company’s life and have enabled us to sustain our reputation and integrity in a fast moving industry. ‘Our success lies in our ability to listen to our customers and tailor a service that fits to their specific requirements. Our corporate statement, ‘Service, Delivery, Trust’ encompasses a service offering built around a professional team of individuals who take care to ensure each customer receives a first rate service’. 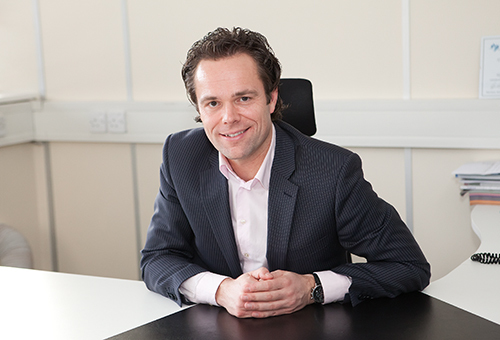 2015 Jeroen returned to The Netherlands and a new Managing Director was appointed. 2016 Move back to the Homespares name. After a very interesting couple of years, in May 2017, John and Douglas Farnworth returned to the day to day running of the business after a 10 year absence and with a dedicated staff aim to take the business ‘back to basics’ encompassing tried an trusted methods to ensure an excellent customer experience. ‘We are building a new business and taking a back to basics approach. Why complicate something? The changes to the industry whilst we have not had day to day involvement is amazing and present us with many opportunities. We are investing heavily in the business to bring it right up to date and as a result quicker and faultless turnaround of orders will be reached thanks to our investment in our warehouse facility and IT services. We will continue to improve our product ranges and our stock availability with our aim of being both our suppliers and customers best and preferred partner. Over the last 56 years we have employed some really special people. The people below all worked for Homespares for over 25 years. We thank you.